Our co-worker Ed commissioned us to do a littlebook for some friends of his who were having a baby. Apparently we are terrible at finishing littlebooks that are not gifts for people. Obviously, littlebookage is turning out to be a bit more sporadic than we had planned! Keep in mind that you can always add us to your RSS reader, your LiveJournal friends list, or your Twitter timeline. Also, you can subscribe to a mailing list on our main page that will email you when a new book arrives. I’m trying to make it as easy as possible for you folks to keep up with our nuttiness. Hey there, folks! Sorry for the delay — first it was the flu, then it was wordpress, and right now it’s a dead scanner (retcha fretcha…). But one way or the other, we’re launching today, and will bring you a new book every two weeks when we feel like it! 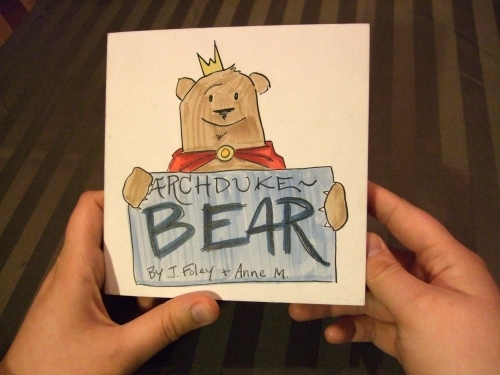 For our first installment of littlebooks, we present an examination of the greatest bear of our times. Made as a present for Yuko. 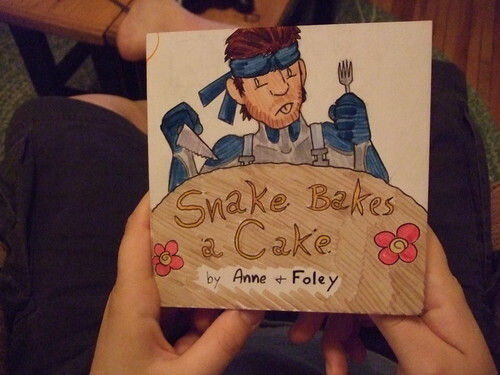 Here we have the “first” littlebook — Snake Bakes a Cake. Our ginger chum Grant loaned us MGS4, and then proceeded to miss the heck out of it. We decided to make him a book to ease his pain, and in the process sort of started a rather tiny, rather localized internet storm. Regardless, Grant enjoyed it, so mission accomplished. Hi, folks! Welcome to littlebooks, your library of little books for big people. 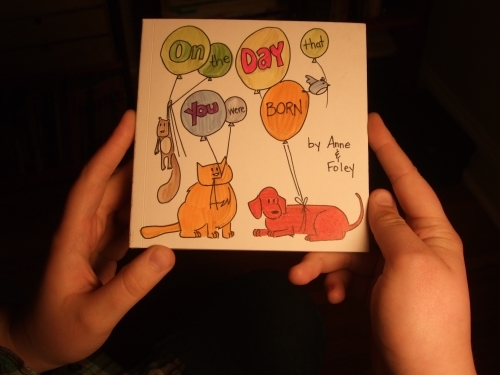 Foley and I will be bringing you stories and poems to delight and astonish, entertain and enlighten, irk and quirk. Or maybe they’ll just rhyme. ¶ Posted 28 December 2008 § whatnot ‡ Comments (3) ° Tagged: etc.